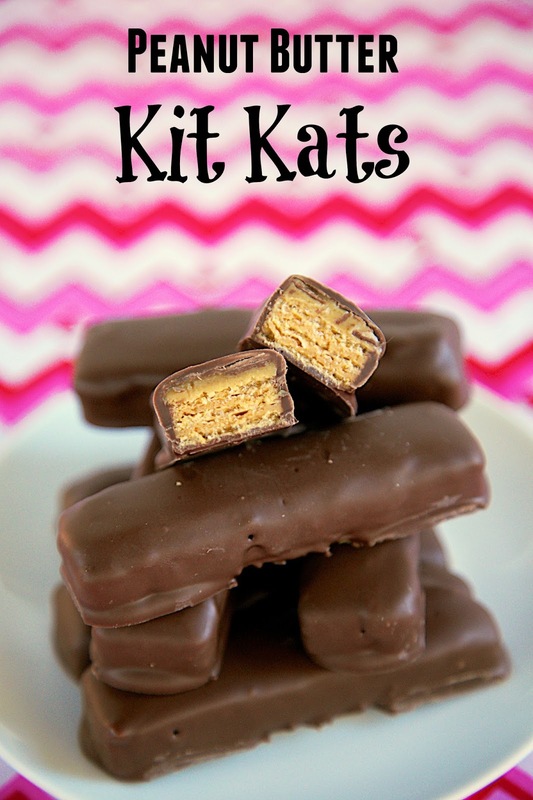 Homemade Peanut Butter Kit Kats - my favorite treat from Europe!! Only 3 ingredients! These are dangerously delicious!!! 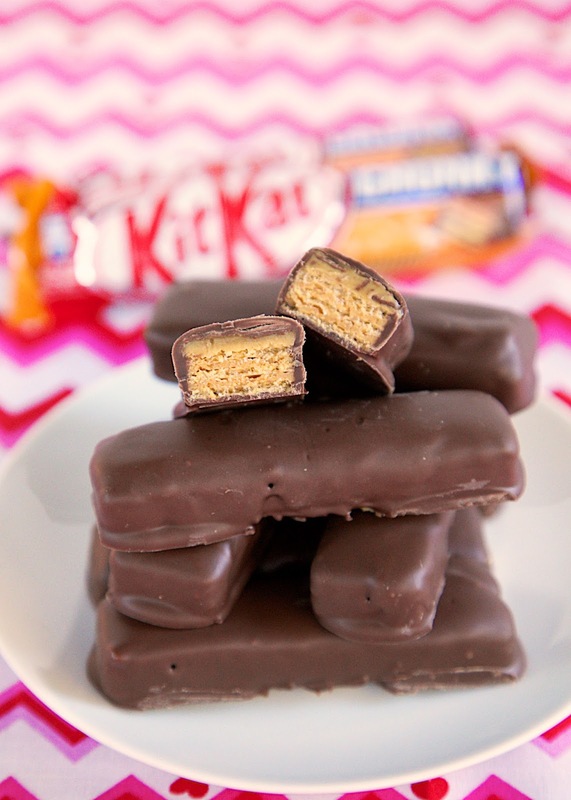 Sugar wafer cookies topped with peanut butter and dunked in chocolate. When I went to Europe last summer, Amanda was on a constant quest for Peanut Butter Kit Kats. I had never heard of such a thing, but it sounded glorious. We found some in Amsterdam, but we hit the jack pot in Munich. Amanda loaded up. I finally broke down and spent the last of my Euros on some before we boarded the plane. OMG! SO good! I wish they sold these in America! Since I'm not going back to Europe anytime soon, I decided to make a homemade version. They turned out great and they only have 3 simple ingredients! Chicken Legs and I did a taste test and actually preferred my homemade version. They are seriously delicious! I could not stop eating them! 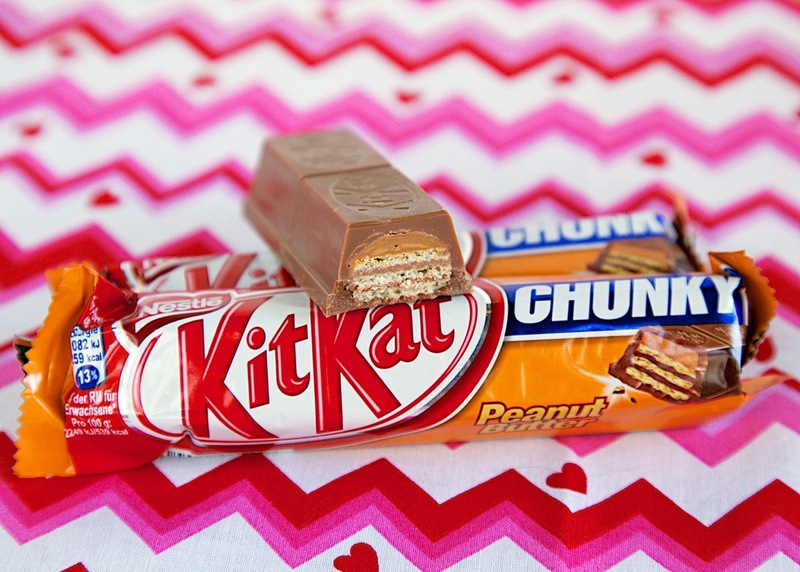 I would still buy some of the originals if I am overseas, but these homemade Peanut Butter Kit Kats will definitely keep me satisfied in the meantime. Spread approximately one teaspoon of peanut butter on top of each sugar wafer. Refrigerate at least 30 minutes. Melt candy coating according to package directions. Remove peanut butter sugar wafers from refrigerator. Dip each cookie into melted candy coating. Shake off extra candy coating. Place on wax paper or parchment to set up. These sound great!! I might have to sprinkle some chopped peanuts on top to try and recreate my favorite from the 80s, the Summit bar. Can't wait to try them! Also, you probably know this already, but they do sell the BP Kit Kats on Amazon. I might order some of those and some Curley Wurlys!! These look wonderful!! Thank you so much for the recipe!! It's amazing how much better and fresher yours look than the storebought kind. I'll take 1,000. The homemade version was definitely better. I could totally eat 1,000 of these! I ate way too many of them.